Washington DC National mall for museums and fun. 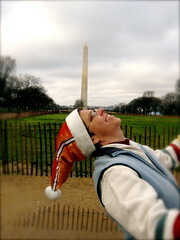 Who knew you could balance the monument on your head! !